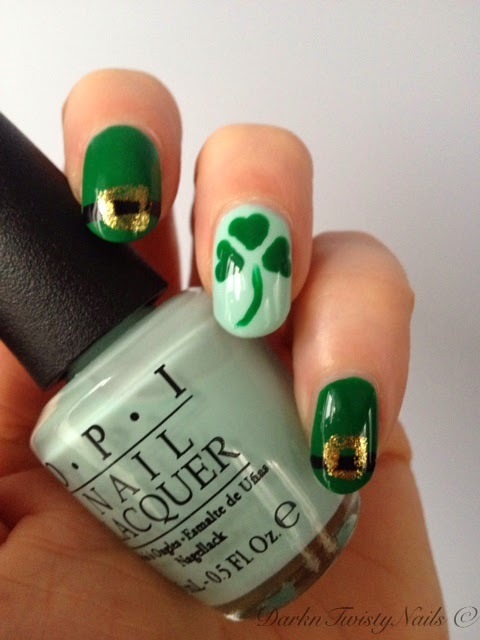 First things first: Happy Sint Patricks Day everybody! I've been a bad little blogger... the past couple of weeks, I haven't been blogging as much as I would have liked and the worst thing is, I don't even have a good excuse! Life just got away from me, with sunny days, my birthday last week and just plain no time to paint my nails, let alone write a blogpost about it. But no more! 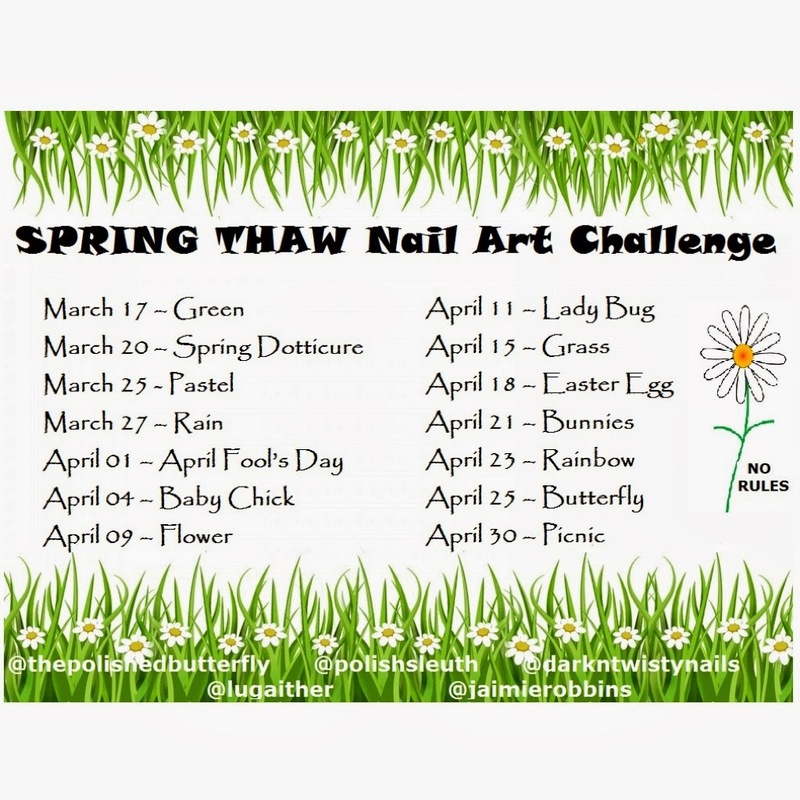 Today is the first day of a new nail art challenge some of my friends and I set up on Instagram. Yes, that's right, No Rules, so no excuse not to participate! You can do as many days as you want or just a couple and if you're nail art challenged like me, get creative with color, stickers, water decals, just have fun with it! 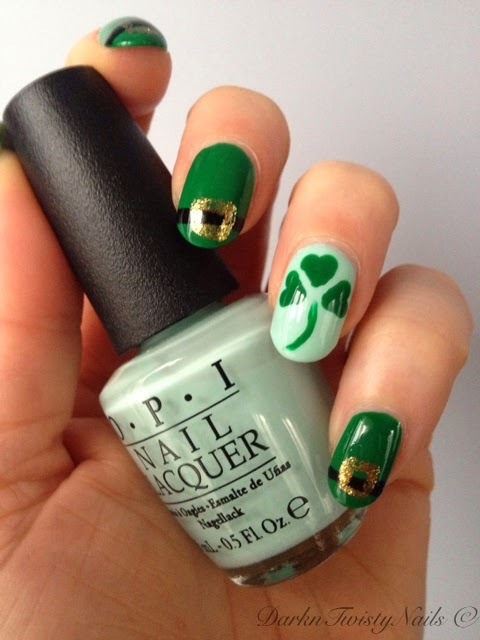 I had some fun with it and created little leprechauns on my nails and I added a good luck shamrock, just because I could! I love this mani, but it's nowhere near perfect. Next time, I'll try to paint the little buckles a little higher on the nail and I've found I'm not the best at drawing heart shapes... but who cares? It's a no rules challenge, so no need to be perfect! Will you join the fun? If so, please use #SPRINGNORULES to show your mani on instagram and if you blog about it, please leave a link in the comments, I'd love to see all your creations! Love this! You did a great job with your clover!! You should see my other hand... lol! You did awesome! Very festive! I am not the best at heart shapes either. Mine are always unbalanced!